Compare current UK prices and find the cheapest possible Penfolds wine. Find exclusive vouchers, Price History & reviews to get both the best quality & price. 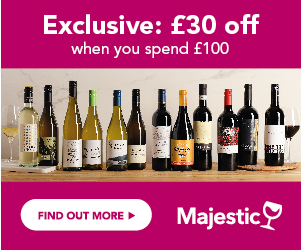 Consider our Deal of the Day or sign up to Price Alerts to never miss your favourite bottle when its price drops. Penfolds is, arguably, the most premium, and highly revered Australian wine brand in the world. Its iconic, flagship wine ‘Grange’ counts amongst the very top wines in the world, and commands the pricing of top Bordeaux wines. However, the Penfolds range and story encompasses a wide range of far more affordable wines, spanning all styles and price points. The world renouned Penfolds company was founded over 150 years ago, by Dr Christopher Rawson Penfold, an English doctor, who emigrated to Australia and set up the company in 1844, when he bought a plot of prime land, called the 'Magill' estate, now legendary, which to this day, remains a vineyard and winery, on the outskirts of Adelaide. In the early days, his wife Mary was largely responsible for the vineyard management and the red wines were used as tonics for anaemic patients. By the 1870s, the Grange vineyard was established, and after Dr Penfold’s death, Mary drove the business forward and is largely responsible for its early success and positioning. By the 1940s, Penfolds had bought some of the largest plots of land in wine growing regions, including the Barossa and the Hunter, and was establishing itself as the leading wine and fortified wine producer in Australia. The story of Grange began in the 1950s, when the now legendary winemaker, Max Schubert, travelled to Bordeaux, and returned, determined to make a wine as great as any in Bordeaux. In the 60s and beyond, Grange Hermitage, took the wine world by storm, establishing itself as the ultimate in quality Australian red wine, and on a par with anything Europe had to offer. Through the 70s and onwards, the red wine portfolio grew, into the wide range of famous ‘bin’ names that we have today, all with the focus on quality of production, not quantity. There was widespread media interest when Penfolds launched ‘Yattarna’, the white equivalent of the Grange project, in 2002, and the development of premium wines, both red and white, has continued under the expert leadership of current chief winemaker and internationally renouned wine industry figure, Peter Gago. The wines are top quality, unashamedly Australian, and superbly crafted. Penfolds now own vineyards in all the premium wine regions of Australia, namely Barossa, Magill, Eden Valley, McLaren Vale and Coonawarra from where they source the fruit to go into their iconic wines. What Styles Of Wine Do Penfolds Produce? The Penfolds range covers probably more breadth, and price points, than any other Australian brand. From the iconic, auction-worthy Grange, to the soft, approachable Rawsons Retreat, there is a consistency of style and an overdelivery of quality. Penfolds Rawsons Retreat - The introductory level to the Penfolds brand, with a range of single varietals – creamy Chardonnay, eucalypt-scented Cabernet and a spicy Shiraz – all clear interpretations of Australia’s classic styles, together with the 2 classic blends, Shiraz Cabernet and Semillon Chardonnay. Penfolds Koonunga Hill - Probably the best known and recognised of the range, and were undoubtedly the wines that put Penfolds within the reach of wine drinkers who wanted top quality, but affordable wines, at every day prices. Created in 1976, by the mid 90s, Koonunga Hill was well known for ‘punching above its weight’, in terms of what it delivered in quality for the price of the wine. The range is a true reflection of the overall style of the brand, across a range of classic blends, and some very expressive and benchmark single varietal wines, such as the classic Chardonnay, Shiraz and Cabernet Sauvignon. Penfolds Thomas Hyland - A range of premium, yet accessible wines, which reflect different regional styles, whilst retaining the heart and soul of the Penfolds character. The wines are blends from several regions, but the main focus is on wine from the Adelaide region, which has some of the best vineyards in the country, including some great cool climate regions, which make the perfect location for the zestily fresh Sauvignon Blanc, and a fresh, tropical Chardonnay, whilst the Shiraz and Cabernet are upfront, lively and juicy wines, with depth but freshness from the Adelaide region and the Barossa. Penfolds Bin range - The unique and premium Bin range began in 1959 with Bin 28. Max Schubert wanted to create a range of wines in the style of Grange, but not the same, using the very best grapes from the finest vineyards, to craft an exclusive range of top quality wines, which displayed the Penfolds vision of exquisite quality by marrying regional and varietal character. The name is based on the numbers of private bins where top wines for the directors were kept. These wines are all red, exclusive, but more approachable and affordable than the top echelon of Grange. They include the well known Kalimna Shiraz Bin 28, the Rhone style blend of Bin 2 Shiraz Mourvedre, Bin 128 Coonawarra Shiraz, and the much-lauded and awarded Bin 389 and Bin 407 Cabernet Sauvignons. These ‘Bin’ wines are released once a year, amidst much anticipation, and are swiftly snapped up. Penfolds Special Release - This range epitomises the essence of the Penfolds’ development over the years, with some truly, unique, collector’s wines representing the pace of progress in the brand’s history and providing some world class, multi-award winning, and highly prized wines, such as the Bin 60A – the 1962 was Penfolds’ most awarded show wine ever, and a further vintage was produced in 2004, as the winemakers felt the parcels of wines were of a match to the 1962. It sold out immediately. Penfolds Luxury and Icon range – Here the wines reach the absolute pinnacle of qualiy, intensity and craftsmanship, and demonstrate why Penfolds is the number 1 premium wine producer in Australia. These wines account for less than 5% of all the grapes sourced, and are the purest expression of what Penfolds winemakers do best! Rare and prized wines, in small quantities, the selection ranges from the majestic Grange, through to Bin 707, Penfolds’ truest expression of Cabernet; there are also the illustrious names of RWT Shiraz, St Henri, Magill Estate, Penfolds Bin Reserve Bin A Chardonnay, and Yattarna. The Penfolds St Henri range was created in the 1950s. Exclusively made from Shiraz grapes, although sometimes a small proportion of Cabernet is added to balance the wine, it is matured in very large oak vats. This allows the wine to develop with almost no oak character and gives it a unique taste that you can't find in other Shiraz wines.